Vacuum Packing is a natural food preservation system. Air is removed from the pack, eliminating oxygen, the principal food spoilage agent. Packing of raw or cured products. Packing of traditionially cooked food. Freezing of Sous Vide cooked products. Why is it important to vacuum-pack for Sous-Vide cooking? SAFETY: The absence of oxygen prevents the reproduction of aerobic bacteria. ACCURACY: The absence of air in the bag allows a more accurate cooking at the programmed temperature. UNIFORMITY: The absence of oxygen allows the bag not to float and the cooking to be uniform. Vacuum packing techniques and equipment. 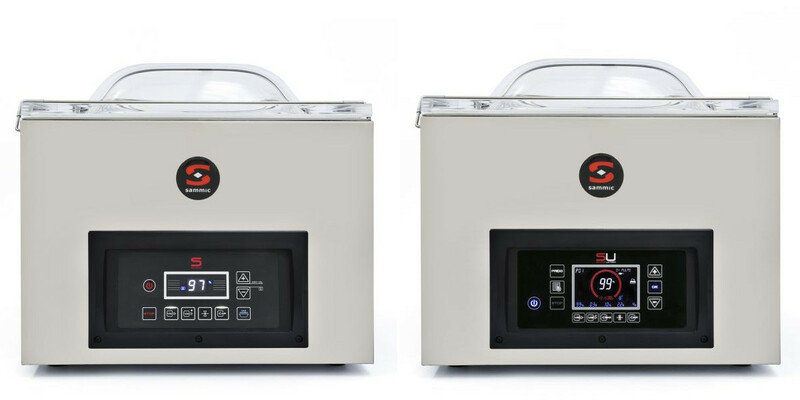 We offer a wide range of commercial vacuum packing machines with several chamber sizes, pump capacities and utilities. We invite you to visit our website to get to know the Food Preservationi Solutions we offer.